Despite the very hard water, I consistantly get a great shave with this soap. 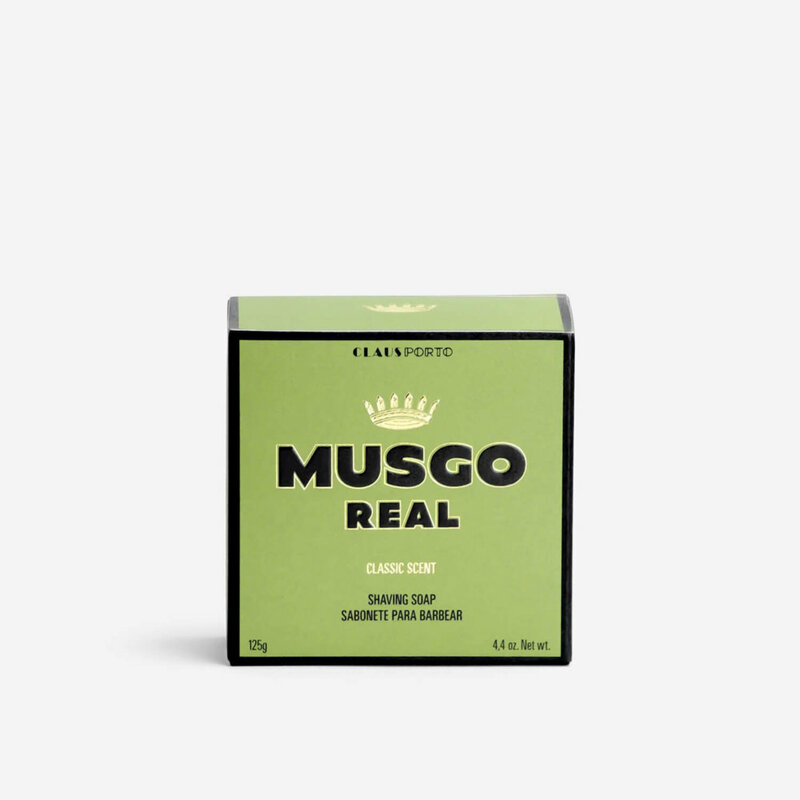 Musgo is a big Portuguese manufacturer of such products. I really like it, i’m not a massive believer in pre-shaves but this definitely helps get the hair shave ready if i’ve gone a few days without shaving. It’s not revolutionary but it does the job and just gives you that extra bit of slickness that can help with thicker hair. Wouldn’t bother if you’ve got thin hair though or a slicker shave soap as this could stop you getting as close a shave. Good product.Creamy lather competitive price. Really good lather. Very nice old fashion scent. Delivered within in two days. Can’t ask for better than that. A very nice soap. I bought the original Musgo shaving cream in a tube some years ago, but my face did not agree with the Lanolin in the cream. No problem with the hard soap however, good cushion and glide and the lovely Musgo original scent, well worth trying. Received the usual great service from the Shave Lounge, why go anywhere else . . . .